Is This What Faithful Looks Like? I’ve known Jana Spooner since we were babies. We have almost eerily followed a very similar life path, attending and graduating from the same colleges and seminaries, working with students in ministry and transitioning into the world of literature and writing at almost the exact same time. 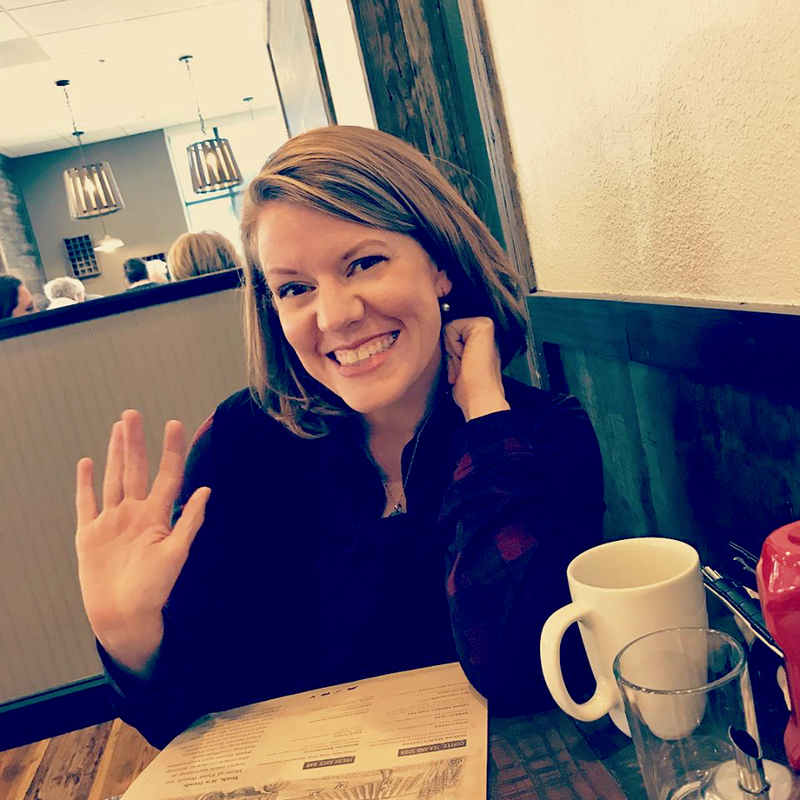 I won’t bore you with the details, but really, I’m so excited for you to hear from my friend, Jana. To read more from Jana you can visit her blog here. I’ve been thinking a lot lately about God’s faithfulness. It’s hard to fathom because no matter how hard we try, we can never be 100% faithful. We will always let someone down. We will always underwhelm someone. There will always be times when we will not live up to someone’s expectations. But the thing about God’s faithfulness is that there are no external criteria by which He is measured. He IS faithful. He will never let anyone down. He can’t, because He IS faithfulness. I recently heard someone recounting the events of their year, including a successful business venture, blessings to family, etc. Their conclusion was that it was wonderful to look back and see that God had been faithful. 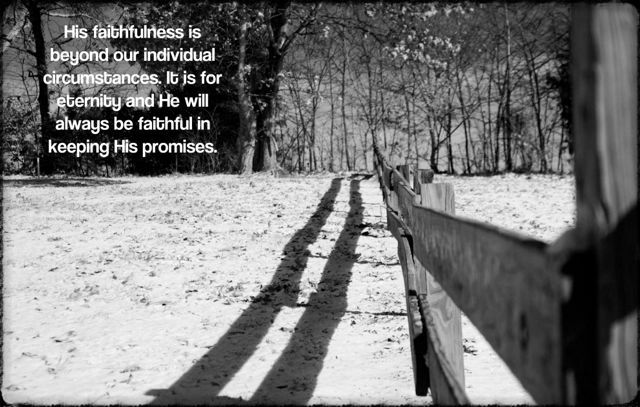 Yes, He was faithful, but His faithfulness would not be changed one iota if nothing good ever happened to us. Ever. The fact that we experience blessing is not an indicator of more faithfulness on God’s part, nor are difficult circumstances an indicator of less faithfulness from God. 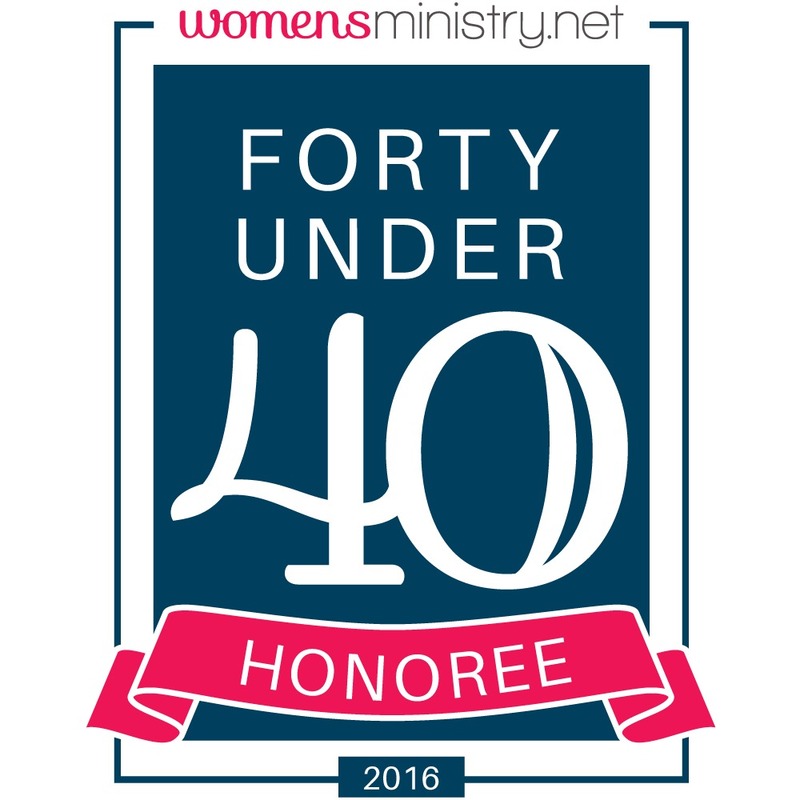 My husband prayed for this job and he got it. God is faithful. We prayed for a baby and we got pregnant. God is faithful. We prayed for the money to come through and it did. God is faithful. At times we thought we might be spared at least some of the expense. The previous homeowner had either not known or not disclosed the septic tank. Maybe he could cover some of the cost. Maybe the city could waive their astronomical fee for a piece of paper giving you permission to tap into their water line. Maybe insurance could cover part of it. Nope, none of those worked out. Nothing about that situation worked out like we had hoped. And we still haven’t replaced all of the dry wall in the basement from the ordeal, so I’m reminded every day that this did not work out like we wanted. Was God not faithful? We prayed. Did God not come through for us? If you’re not familiar with the rest of the book of Lamentations, Jeremiah did not write those words out of a time of prosperity. Earlier in the very same chapter he wrote of affliction, bitterness, homelessness, hardship, darkness, and depression. Just to name a few! Yet he says, “Great is Your faithfulness . . . I will put my hope in You.”Jeremiah understood that across time, from the beginning of the story to the end of the story, God would be faithful to keep His Word to His people. There are times where I can look back and say, “See how we prayed and God answered our prayers just the way we thought He would.” But there are as many times where I look back and say, “I don’t know what you were doing there Lord, but I know You were faithful. You always are.” Either way, He is faithful. We prayed for the job and didn’t get it. God is faithful. We prayed for health and experienced loss. God is faithful. We prayed desperately for You to change these circumstances. You didn’t. You are faithful. We prayed for good things; things we believed were Your will. We didn’t see those things come to pass. You are faithful. 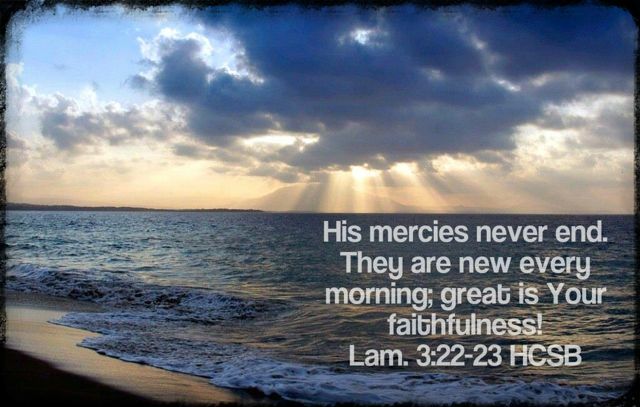 I’m thankful His faithfulness is forever; that His mercies never end. 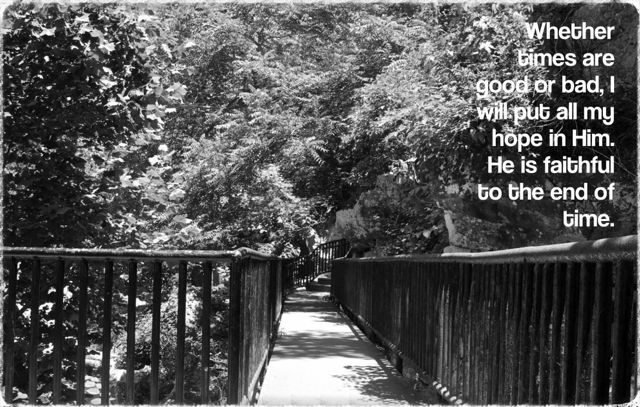 Therefore, whether times are good or bad, I will put all my hope in Him. He is faithful to the end of time.